And baby makes seven! 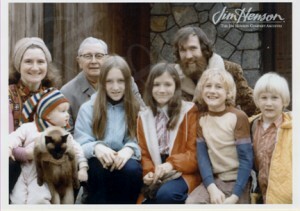 As Jim finished the post-production work on his Christmas special, The Great Santa Claus Switch, his wife Jane finished production on their fifth child, giving birth to Heather. Resting comfortably, Jane and the one-day-old baby watched the show the following evening. A very productive week! 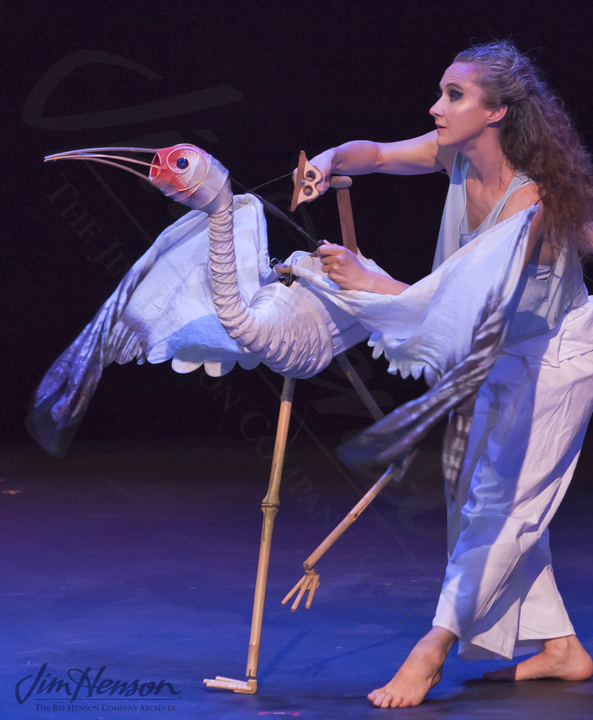 Read more about Heather Henson and her work in the world of puppetry. The Henson family (from l. to r.) Jane, Heather, Paul (Jim’s dad), Lisa, Cheryl, Jim, Brian, and John, 1971. Heather Henson performing in 2011. Photo by Richard Termine. This entry was posted in 12-December '70, 1970, Great Santa Claus Switch and tagged Heather Henson, Jane Henson. Bookmark the permalink.